Greta Aldrich age 82, died Sunday, May 30, 2010 at St. Luke's Hospital. Funeral services were held 11:00 Friday morning, June 4, 2010 at First Presbyterian Church, Monticello. Rev. Al Polito officiated at the services. Friends called from 5 until 8 Thursday at the Goettsch Funeral Home, Monticello. Surviving are her husband Merle, three children, Kris Read, Monticello, Kevin (Sharon) Aldrich and Kit (Mary Jo) Aldrich both of Everett, Washington, eight grandchildren, six great-grandchildren and a sister, Eunice Allen, Monticello. She was preceded in death by her parents, a son Gene, four brothers and four sisters. Greta R. Kuhns was born July 6, 1927 at Anamosa, Iowa. She was the daughter of Lestus and Nellie (Henrichs) Kuhns. She received her early education in the Slew School near Scotch Grove. Greta graduated from the Monticello Community School with the class of 1945. Greta Kuhns and Merle Aldrich were married October 3, 1947 at Wayne Zion Lutheran Church. The couple lived in Monticello until 1960 when they moved to Wyoming. Greta was employed at Collins Radio from 1967 until 1975 The couple returned to Monticello in 1990. Greta had been a Sunday School Teacher and Confirmation Instructor and actively supported her children's activities. She was also one of the original members of Little Bear Country Club. 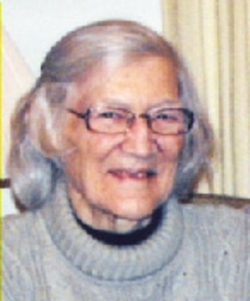 She enjoyed ceramics and pottery, needle work and sewing and was an excellent baker.